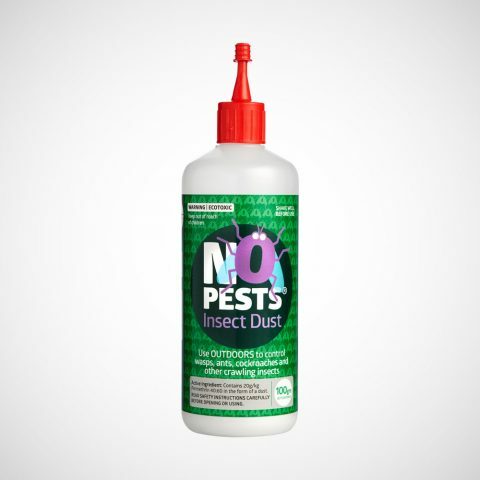 NoPests® Ant Bait™ is a premium ant bait that has no odour, is non-staining and easy to apply. The highly palatable bait matrix in NoPests® Ant Bait™ encourages ants to consume as much bait as possible and return it to the nest. 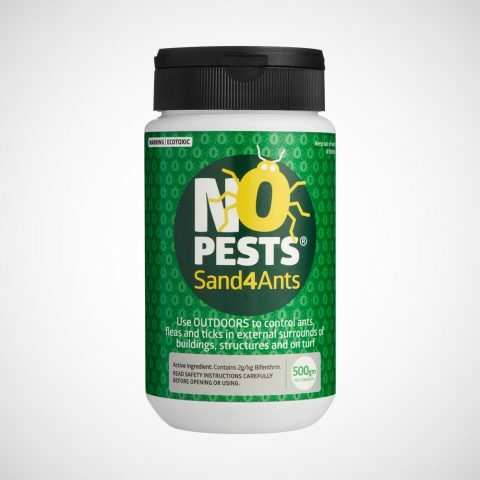 NoPests® Ant Bait™ controls all major pest species of ants found in NZ, such as Black house ants, Argentine ants, White footed house ant and Darwin’s Ant. 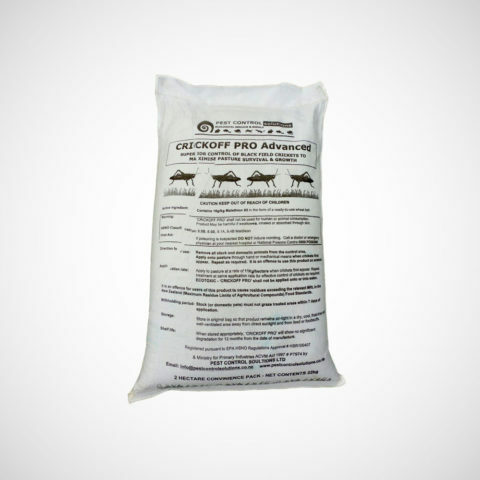 Active Ingredient: Contains 0.5 g/kg Indoxacarb in the form of a gel bait. 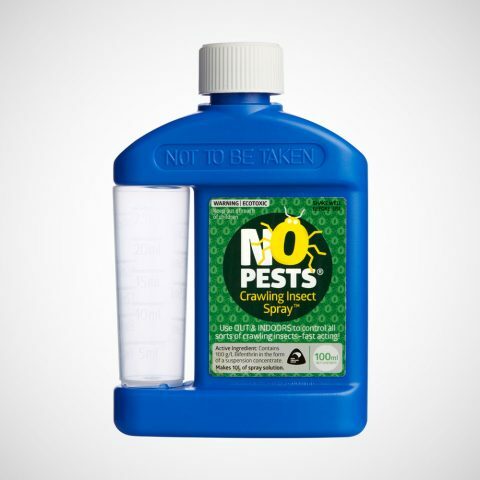 To apply, remove the cap on the nozzle and touch the tip to the surface to be treated and slowly squeeze the tube until sufficient ant bait is dispensed in a thin line approximately 2.5 mm wide and 5 cm to 7.5 cm long across or alongside active trails. 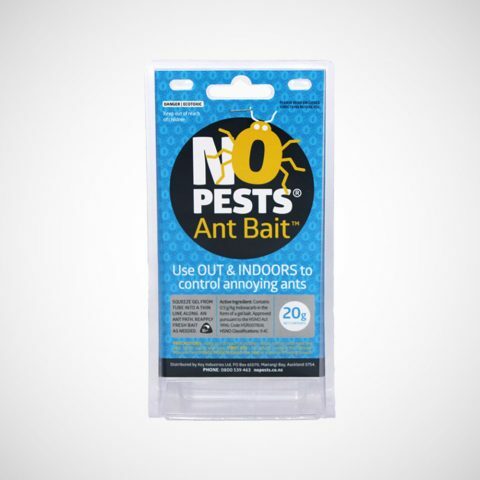 Inspect ant bait placements periodically and apply ant bait until all foraging ants are feeding. Recap the tube after treatment is completed. Control black field crickets to maximise pasture growth. 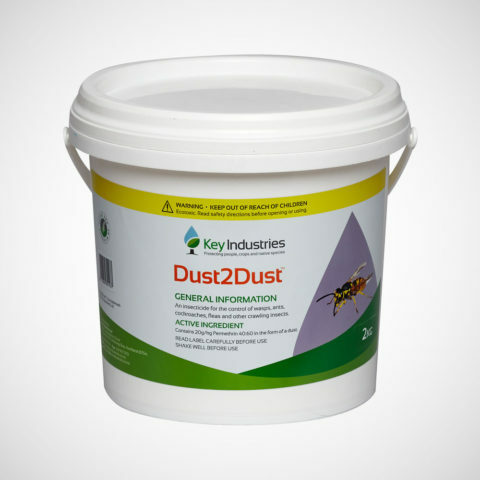 Use outdoors & indoors to control annoying ants. 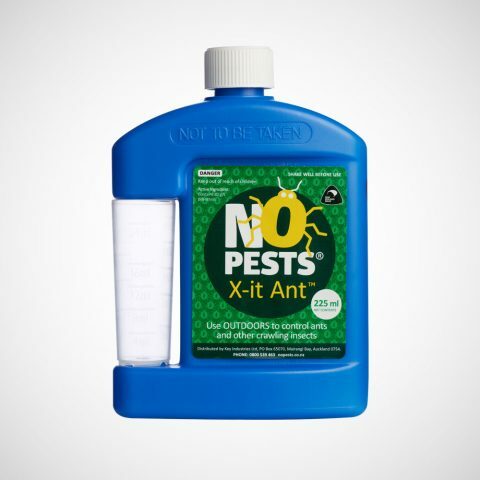 Highly effective, long term Ant control. 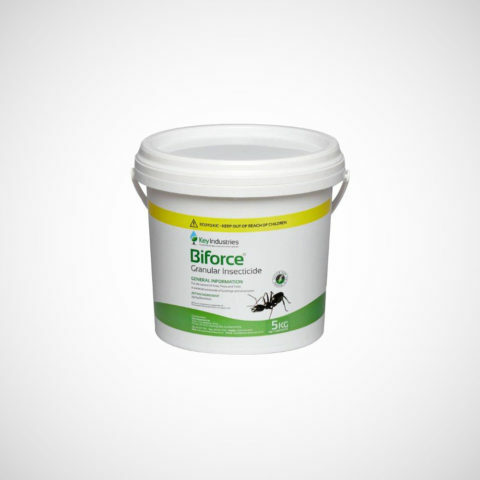 For outside control of ants, fleas and ticks on buildings and lawns. 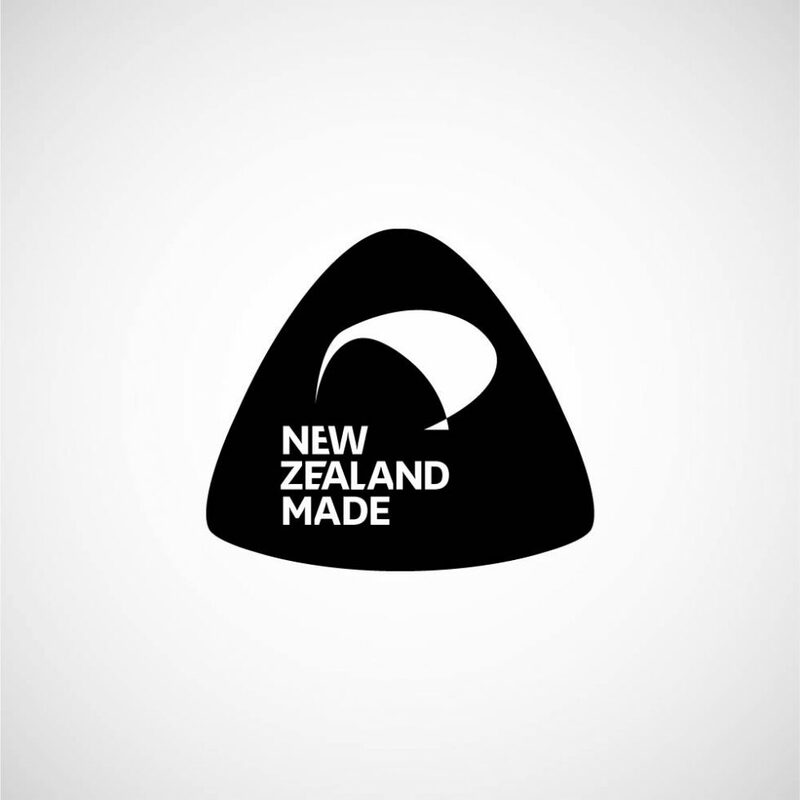 chemical free, safe and easy to use. 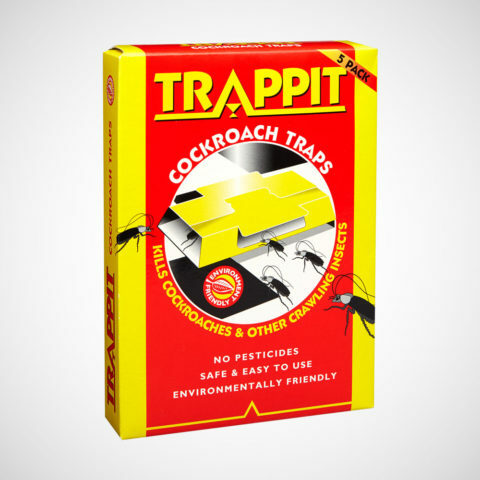 Control all sorts of crawling and flying bugs. 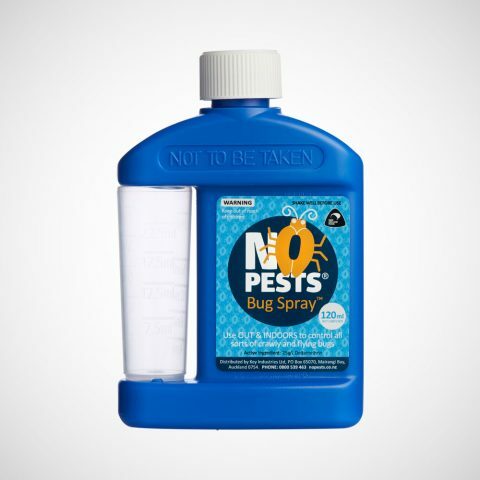 Control all sorts of crawling and flying bugs outdoors.